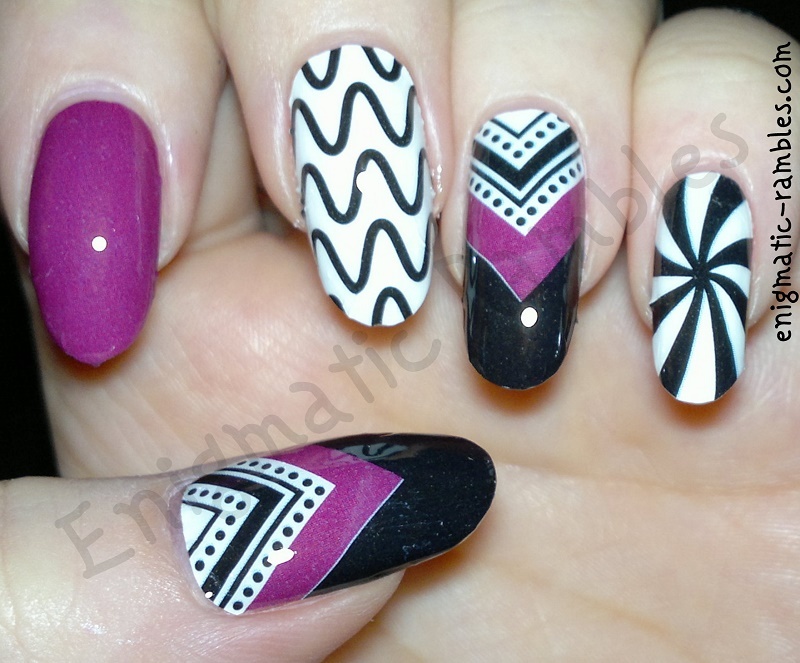 I was sent the Black Peppermint nail strips, I have tried other ones from Nail Rock, Primark, Savers and some from Avon. 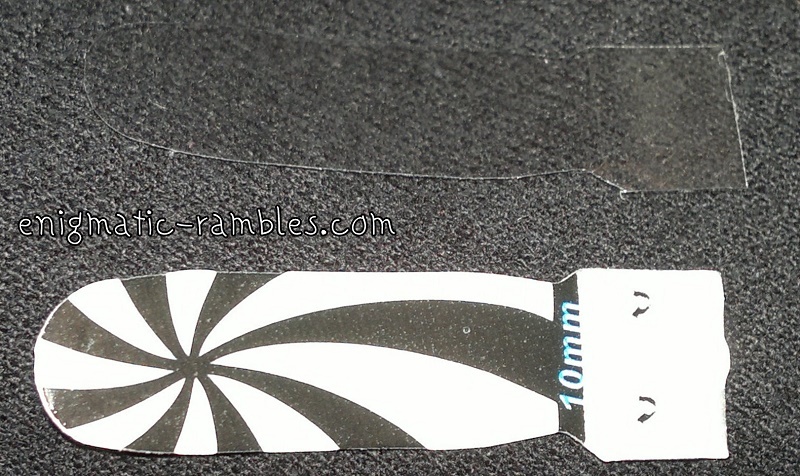 At the moment my nails are quite long but these stickers are 30mm long so they will easily fit my nails. 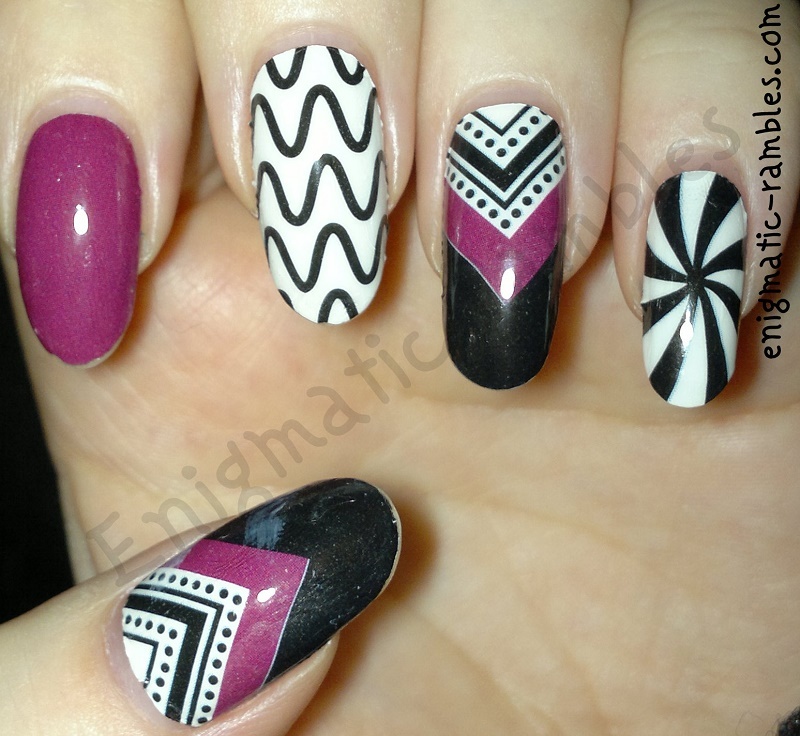 Another point to note it that even if you have short nails the main feature of these particular designs are at the cuticle end so you will be able to use these even with short nails. How did I apply these? 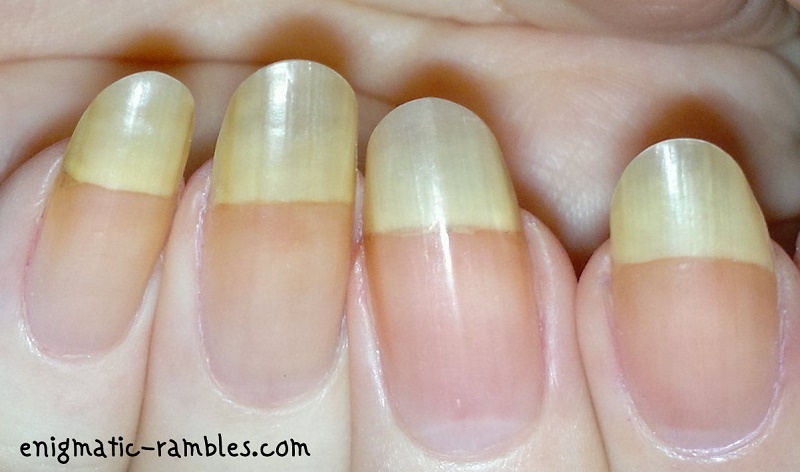 The claim is that these strips last for 10 days, however I usually change my nails daily. But I did test these out for four days. Day Two - Noticeable tip wear on index finger. Day Three - Less shiny that on day one, but that would be fixable by topping up on top coat. Also I managed to get white polish on my thumb nail. Because these strips are made from nail polish I was unable to remove it without removing the strips. Day Four - Not much change, a little more tip wear on the thumb nail. Starting to grow out a little bit. 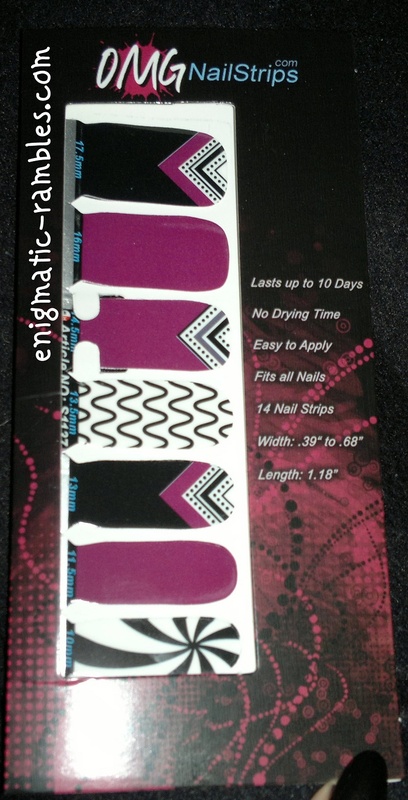 To remove these nail strips you use your traditional polish remover. 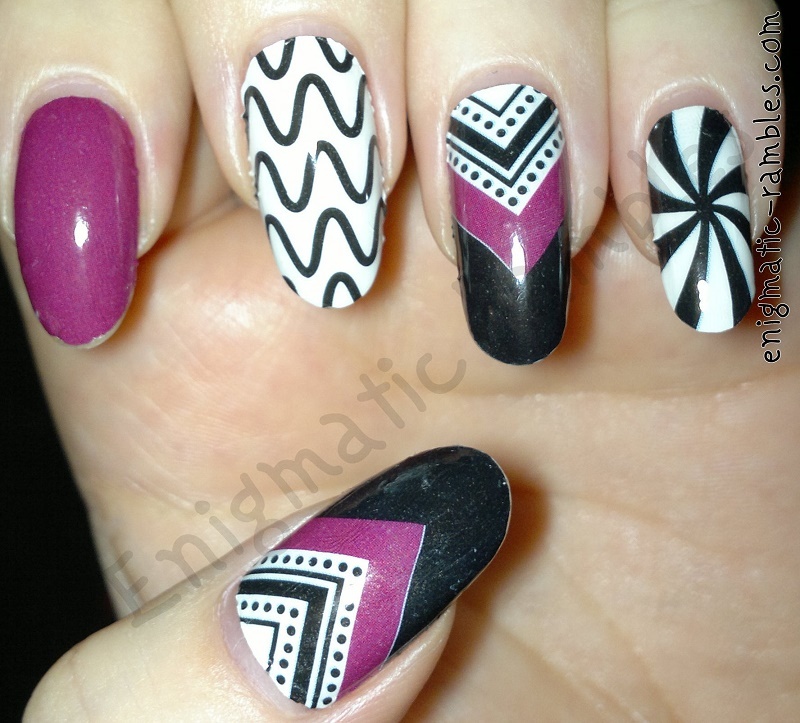 There is no damage done to the nails in using them either which is good. 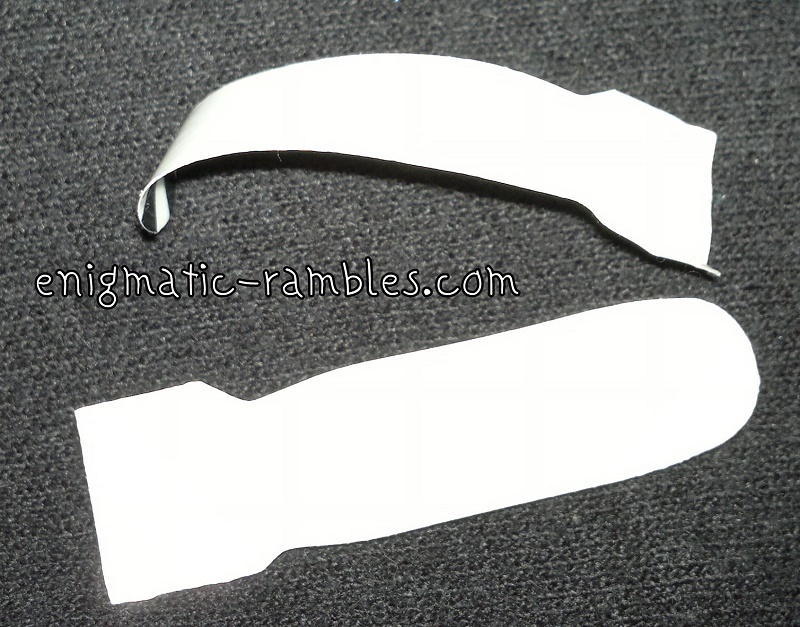 Overall these are good nail strips, once the two protective layers are removed they are quite flexible meaning they stick to the nail and don't flick back up. They aren't too thin though so they will tear on application. They are quite sticky so they do adhere to the nail well, but if you do mess up application you can still move them about. There was no lifting at the cuticle so they didn't snag on my hair which can be an annoyance of some full nail stickers I have used before. Out of all the full nail strips I have used in the past these have been the best ones. I liked the design on my little finger, I have a similar stamp but I can't seem to get a clean stamp with that. 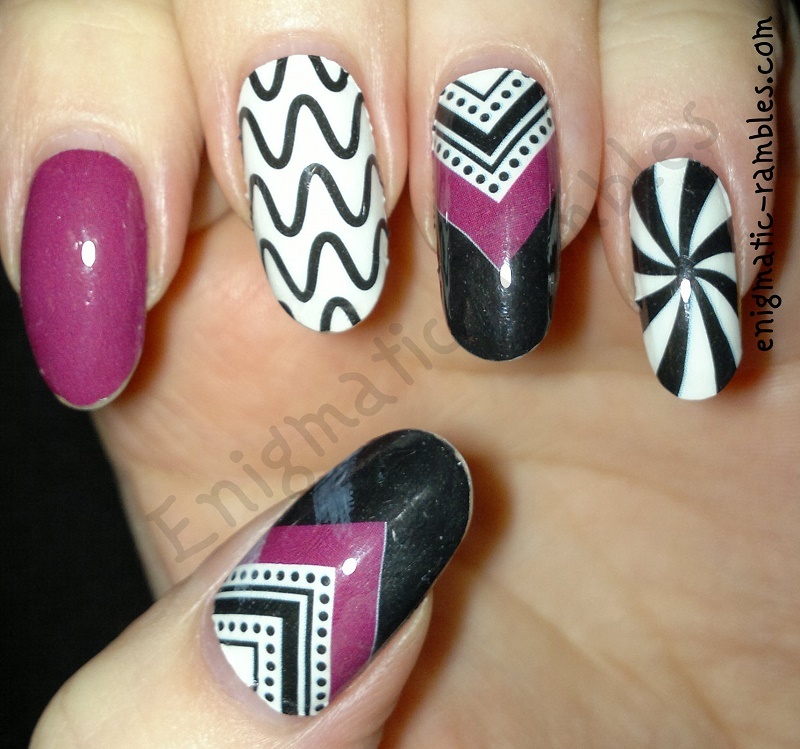 The more aztec design stickers were good as well, which I could probably achieve the same look on my left hand, something that detailed would be very difficult using my non-dominant hand.